Nose- Begins with the rye forward aromas of menthol and dusty grain. With time and water, sweet almonds, corn and sharp caramel. Vanilla and lovely oak. Floral touches. Taste- Full bodied, rye kick. Spicy with citrus rind. Vanilla underneath. Finish- Medium length. Barrel char with drying spice. Quiet. 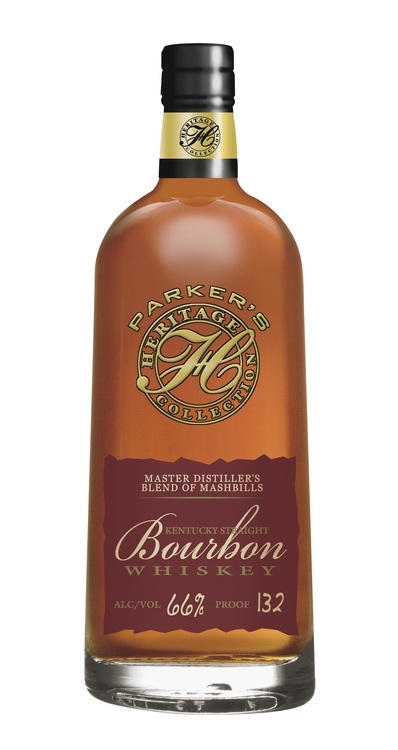 Comment- We tasted this blind with no expectations, and what a perfect challenge for a premium bourbon. We felt that the blend was good, with the rye definitely coming out on top over the wheat influence. While this evened out over time in terms of pleasing flavors, overall we think this selection is at most decent.